This was a great opportunity to get a pregnant mare who has produced winners who is bred to a great young sire in Golden Lad. Because of the deal we struck with the University of Maryland broodmare program, they will be retaining 50% of the breeding bonuses on the Golden Lad foal. The cover date was March 29th, so we are hopeful for a March 1st birth. 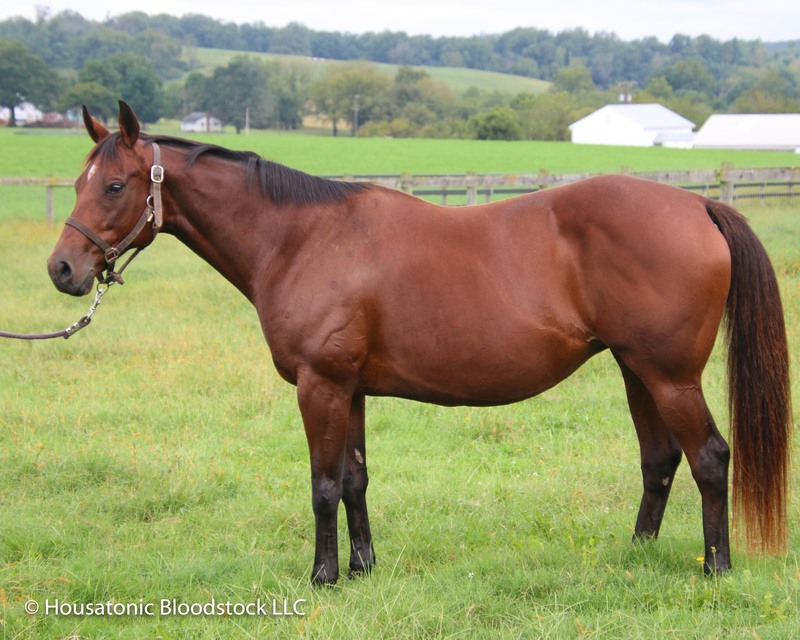 This mare will be based at GreenMount Farm in Maryland and this first foal is targeted to be Maryland-bred. Our plan is to sell the foal as a weanling or a yearling depending on its development and market conditions. NOTE: Our partner, Housatonic Bloodstock will be buying 25% of this broodmare opportunity (and covering 25% of the on-going expenses). Wasabi Ventures Stables will be retaining 20% and 55% will be available to Club members. 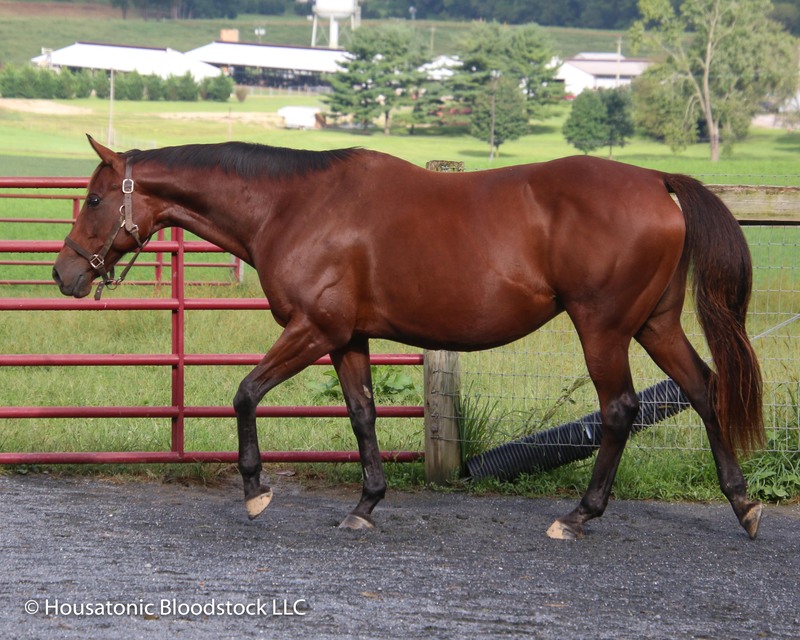 NOTE ON PRICING: Since this mare is already pregnant we will NOT BE adding the $5,000 first year stud fee on. 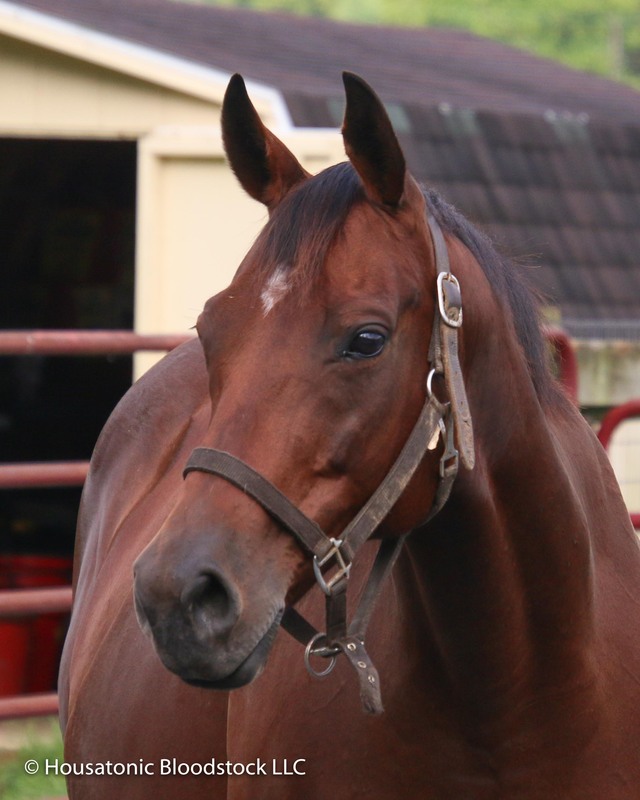 Per our Broodmare Program, any Club member is capped at 3% ownership in any individual offering. Campaign Vows was a stakes-placed winner on the racetrack who hails from one of the most productive female families cultivated by renowned Maryland breeder Sycamore Hall Farm. Campaign Vows is by the top class runner and stallion Broken Vow, who is now a rising star in the broodmare sire ranks, as well, his daughters having produced Eclipse Champion Sprinter Runhappy, Grade 1 winner Big World, and over twenty stakes winners. Her dam, Who’s Cozy, placed in a Grade 3 at Saratoga plus a pair of other stakes races, and in addition to Campaign Vows, Who’s Cozy has produced the stakes winner Who’s In Town (who actually crossed the line first in a Grade 2 race at Saratoga as a 2-year-old) and two other winners, as well as the unraced filly Who’s In Love, the dam of stakes-placed 2-year-old winner Buff’s in Love. Who’s Cozy is out of Who Did It and Run, who beat males in the Grade 2 Jersey Derby and also won three other stakes races during a nine-win career that saw her earn $325,756. Who Did It and Run’s other foals include four-time stakes winner and Grade 3-placed Giant Run, plus stakes winner American Victory (dam of a stakes-placed winner), and five other winners. Also appearing under Campaign Vows’ third dam is Grade 2 winner Hangover Kid. Campaign Vows herself was a maiden special weight winner at a mile-and-a-sixteenth and also took a one mile allowance, both victories coming as a 3-year-old and on the grass. She subsequently closed her sophomore campaign with a 3rd-place finish in the Squan Song Stakes going 7 furlongs on dirt. Campaign Vows has so far produced two foals to race, a 2013 Jump Start filly named Jump For Trump, who won two races and $52,299, and a 2014 Flatter filly named Baltimore Beauty, who has won four races and $90,569, with three of those victories coming in 2018. Campaign Vows also has a 2-year-old filly by El Padrino named Ellie Liesalot (unfortunately her would-be 3-year-old filly and her foal of 2018 both met with untimely demises). Campaign Vows is currently pregnant on a March cover to the exciting young Maryland sire Golden Lad, a Graded Stakes-winning son of one of the country’s top stallions, Medaglia d’Oro, and his dam is a half-sister to last year’s Leading Freshman Sire, Dialed In. Golden Lad’s first runners will reach the races in 2019, and he covered more mares in his first year at stud (104) than any other stallion in Maryland did that breeding season. His first yearling to sell this year brought $26,000, off of his advertised stud fee of $5,000. The foal by Golden Lad out of Campaign Vows will be eligible for the Maryland Million series, as well as the lucrative Maryland-bred bonuses — which will be split with the University of Maryland’s Equine Program, from whom Campaign Vows was acquired.